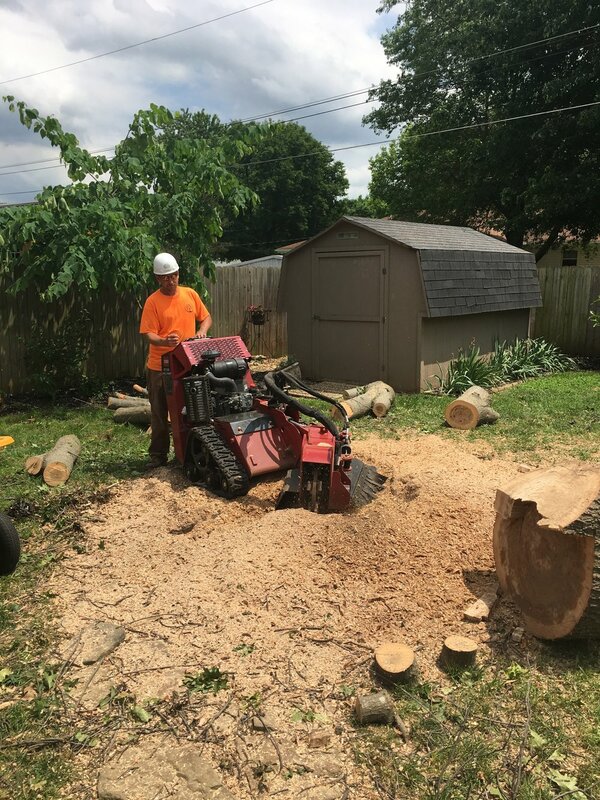 Tree removal involves more than just felling trees. First large limbs need to be removed to prevent as much damage to the ground as possible. 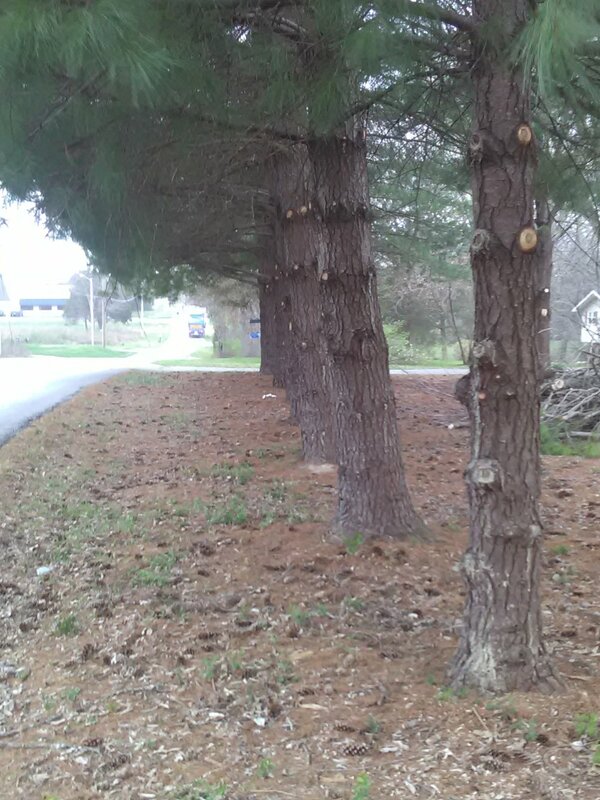 Then the tree and branches have to be cut down to a size that can be hauled and chipped in the shredder. 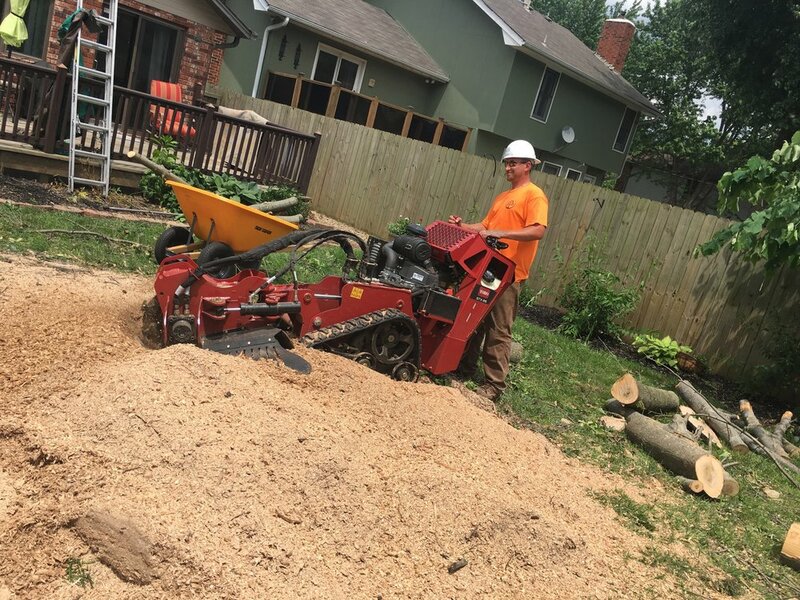 When people talk about stump removal, they most often mean “stump grinding” as actual removal would leave an ugly hole in the ground. 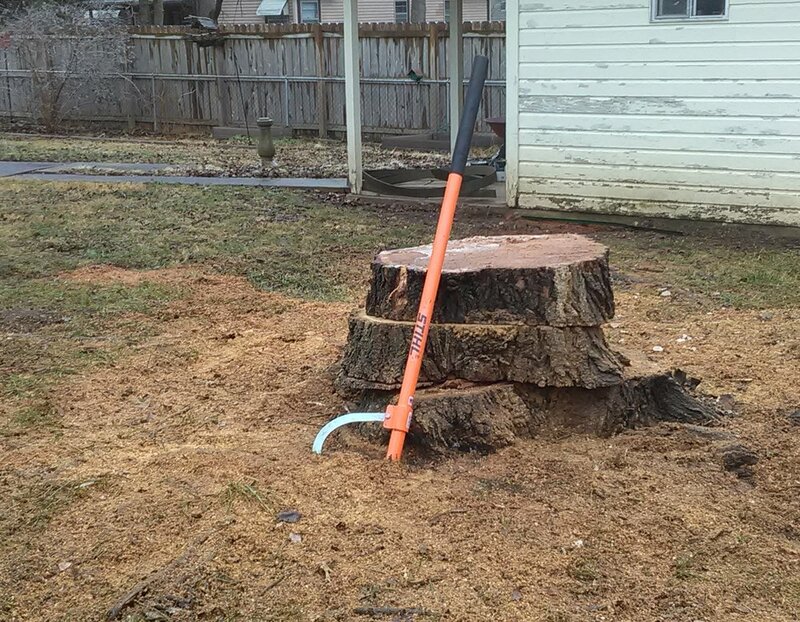 Typically, we grind the stump and roots down to 3-6 inches below the ground. 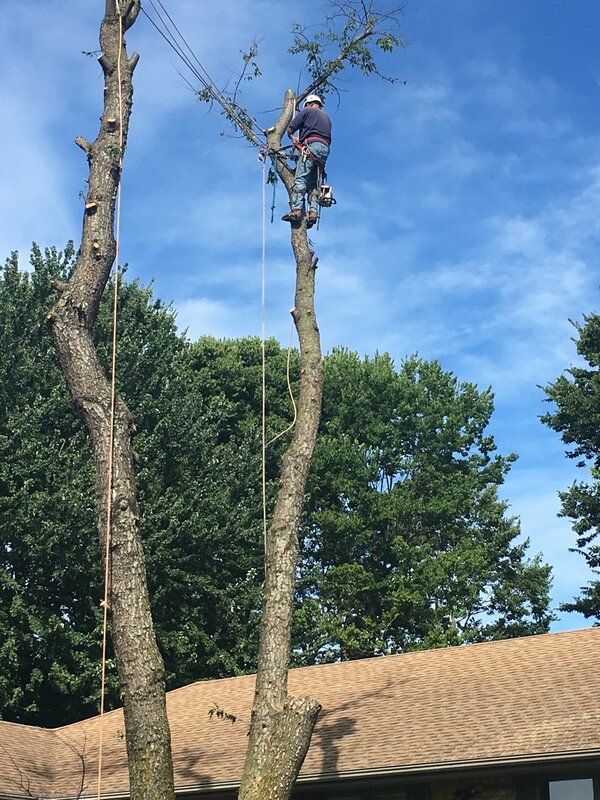 Professional tree trimming not only makes your yard more inviting, but also improves the health and safety of your trees by cutting limbs off that could otherwise be damaged by wind. 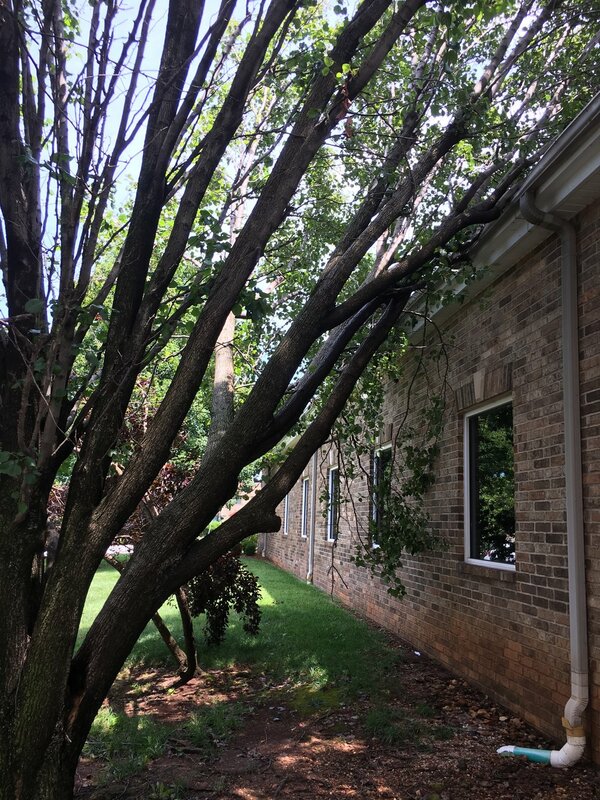 If a storm has made a tree dangerous, first take whatever steps are necessary to protect life and limb, then give us a call and we’ll take whatever steps are available to protect your property and, if possible, save your tree. If removal is necessary, we are fully equipped to handle that as well. 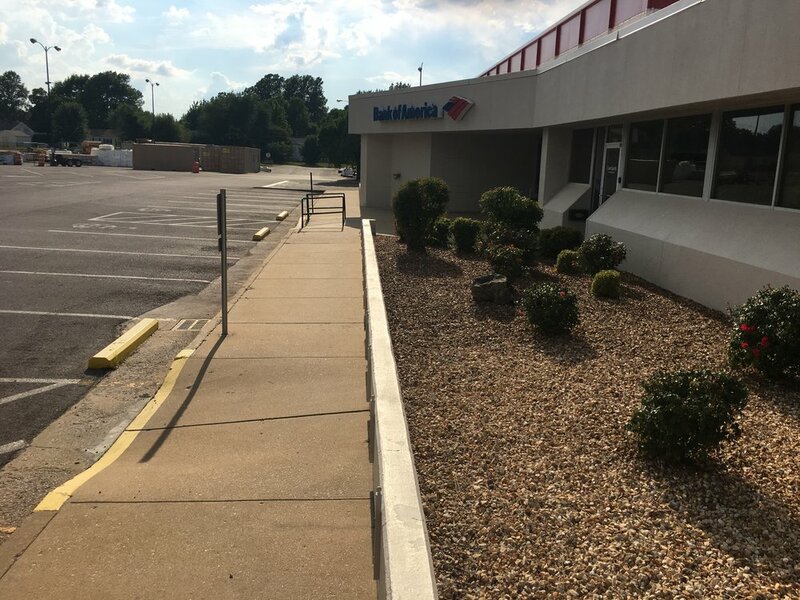 While we have a very good track record of protecting property and our crew, Trufast Tree Service has both general liability and workman's comp insurance, so you can rest assured that your property and assets are protected from any damage or lawsuits.